Lisbon has left us with large city burn out. 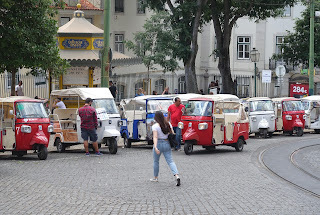 The day started fine, but as the day progressed the crowds increased and the weather deteriorated to pouring down rain. In addition we were in an overcrowded campground that required a very crowded hour long bus ride into town. 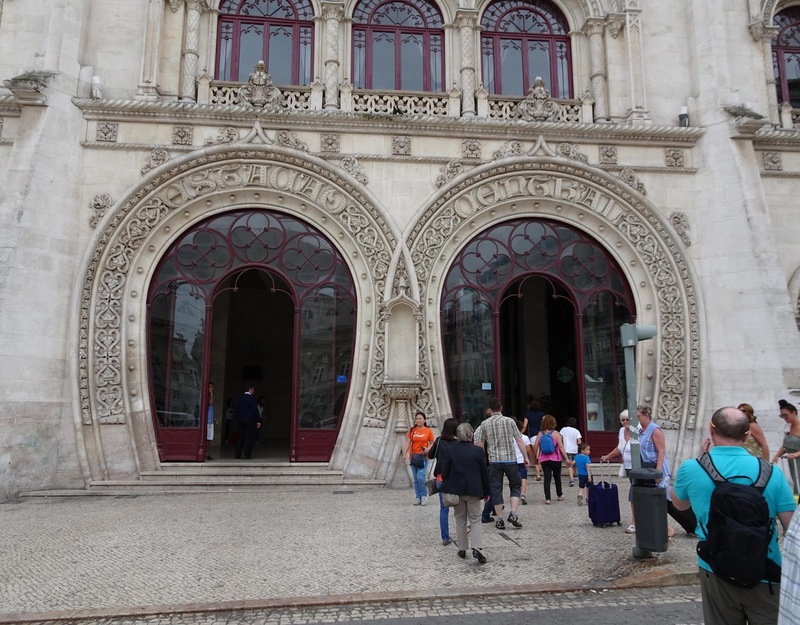 We could only last for one day of sight seeing. 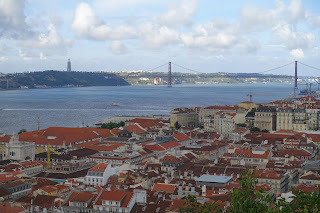 Old town Lisbon, 25th of April Bridge, and Christ the King monument in the distance. 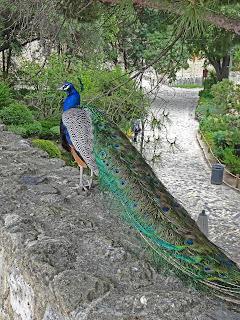 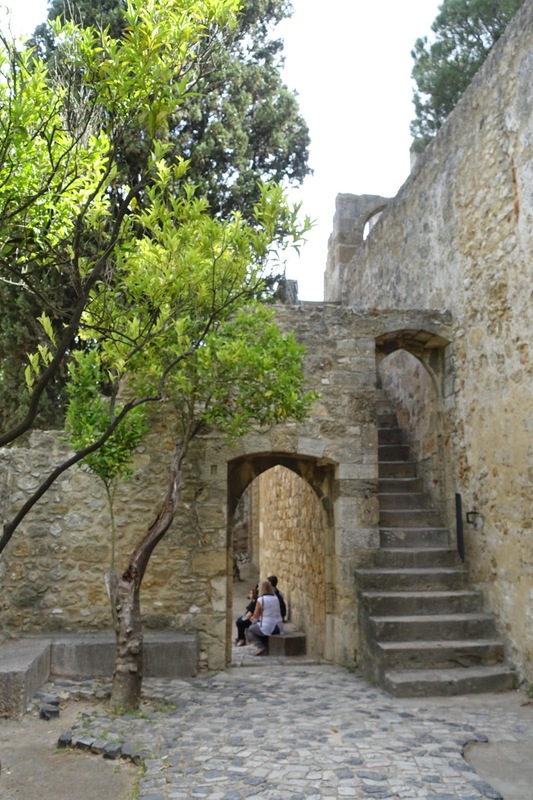 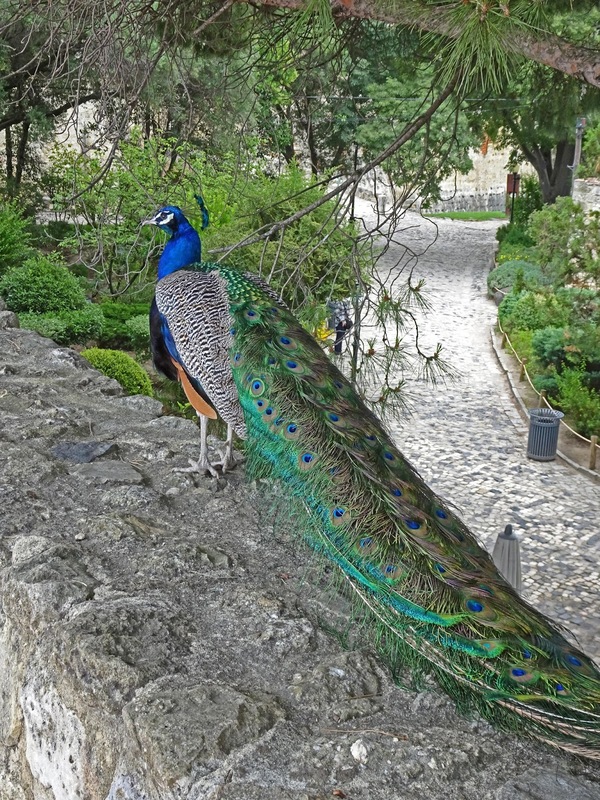 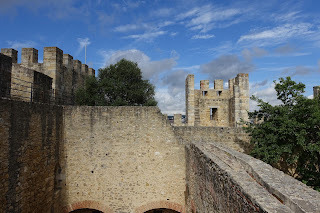 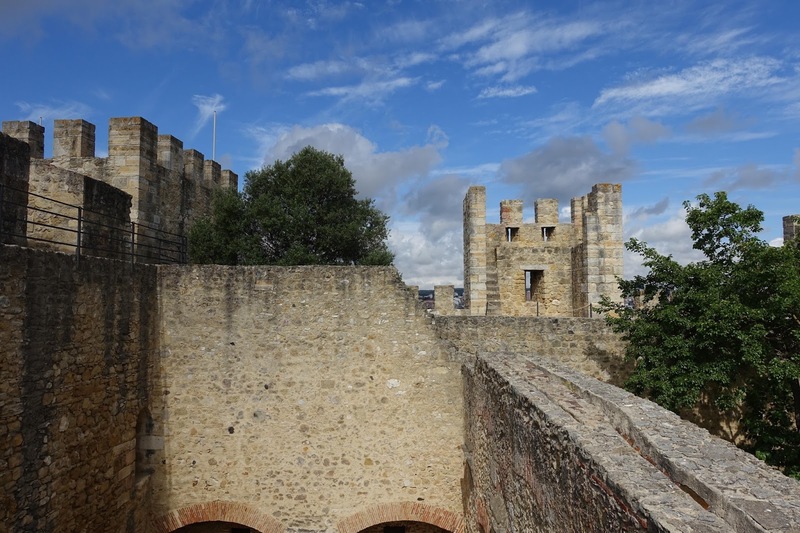 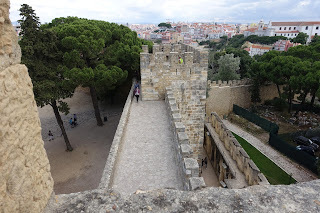 Sao Jorge Castle sits on a hilltop overlooking old town Lisbon. 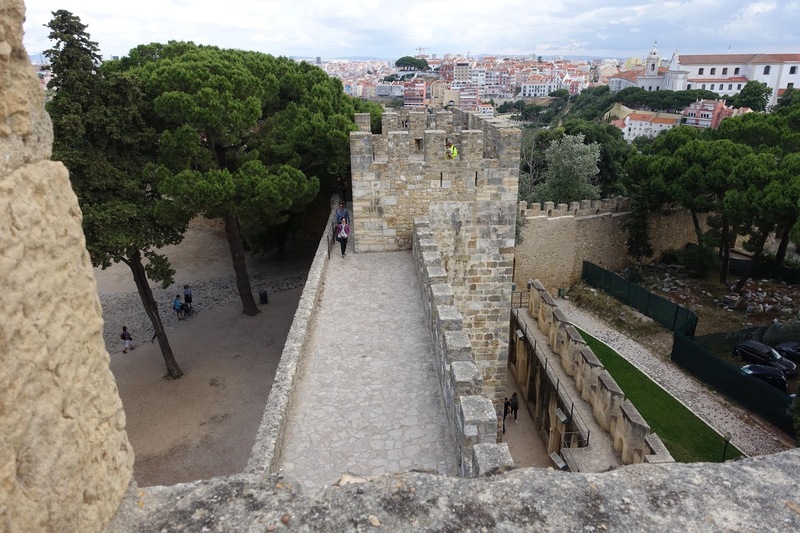 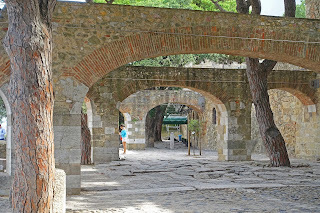 Views inside the castle walls. 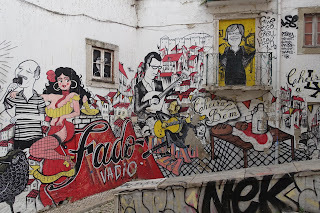 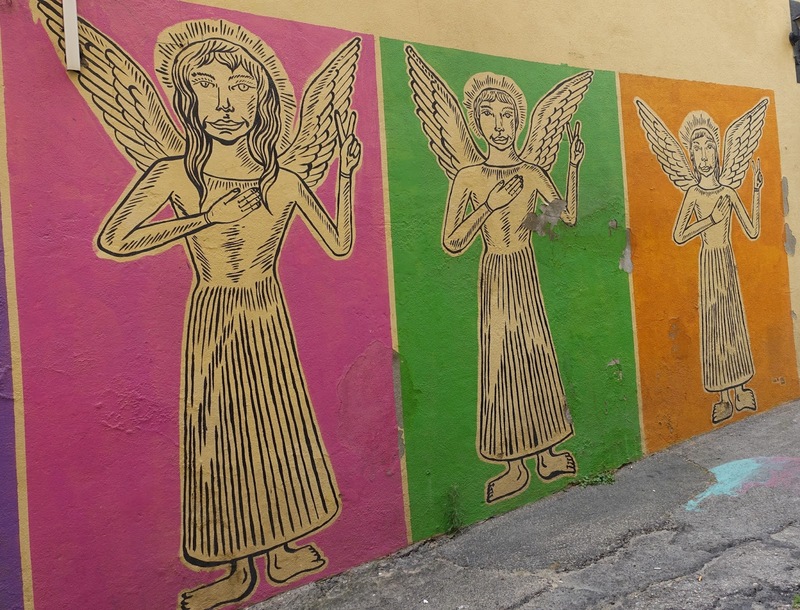 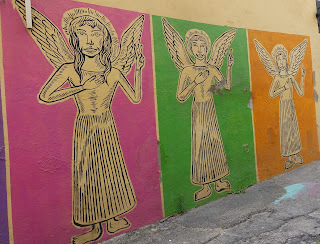 Wall art near the Fado Museum. We took a Tuk Tuk tour. 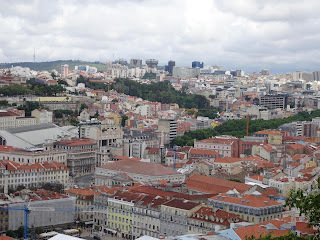 We saw a lot, the driver gave us a lot of info, but what a wild ride up and down the steep hills of Lisbon. 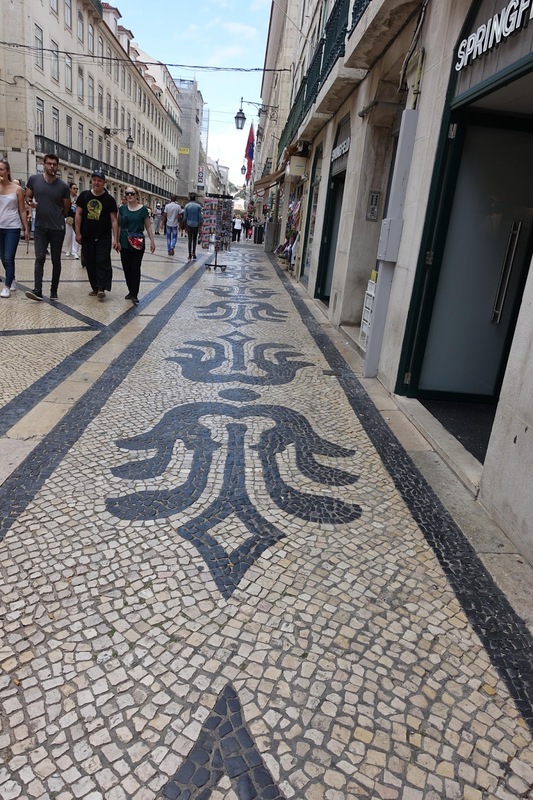 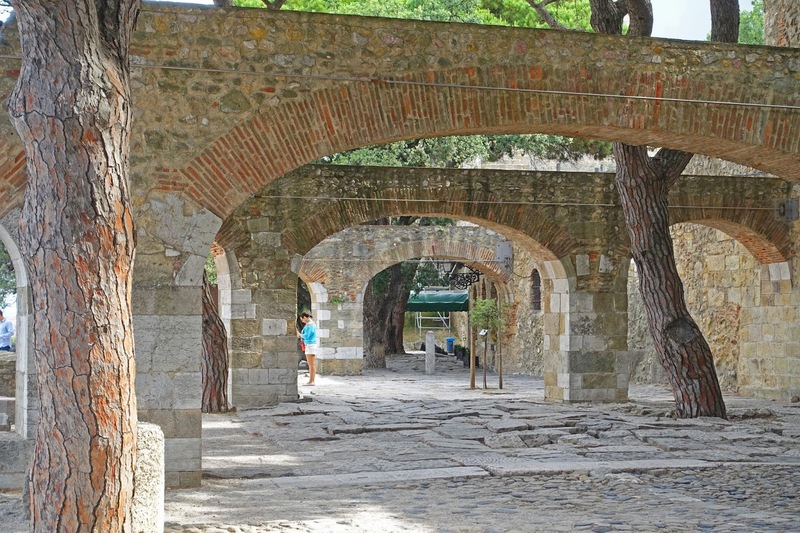 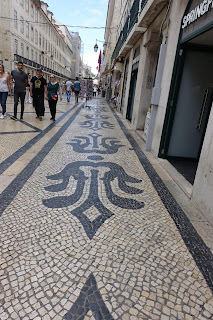 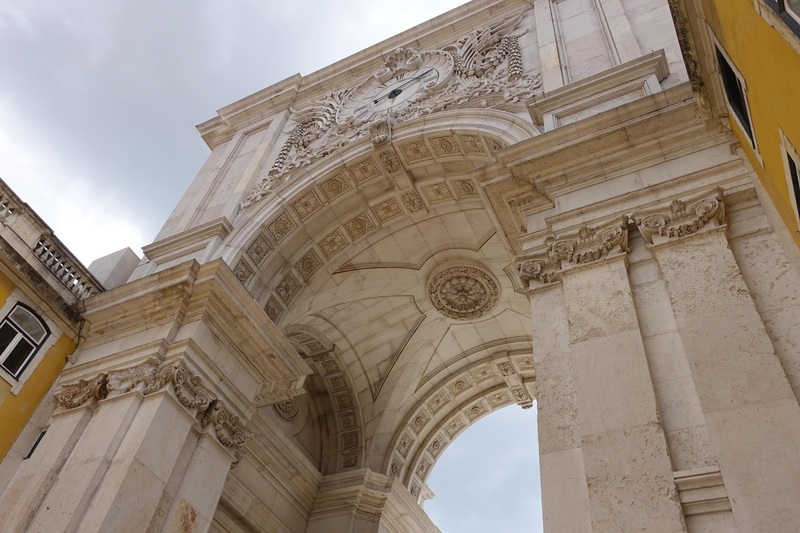 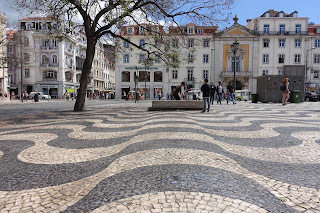 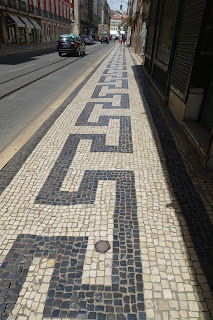 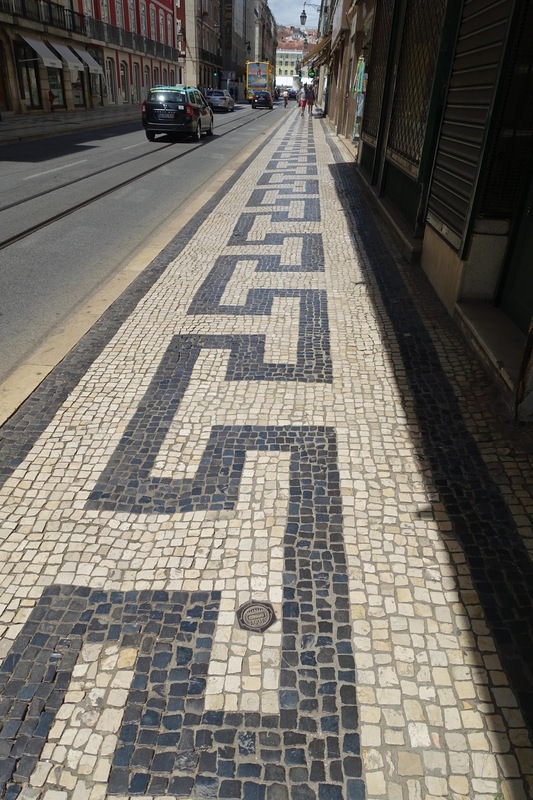 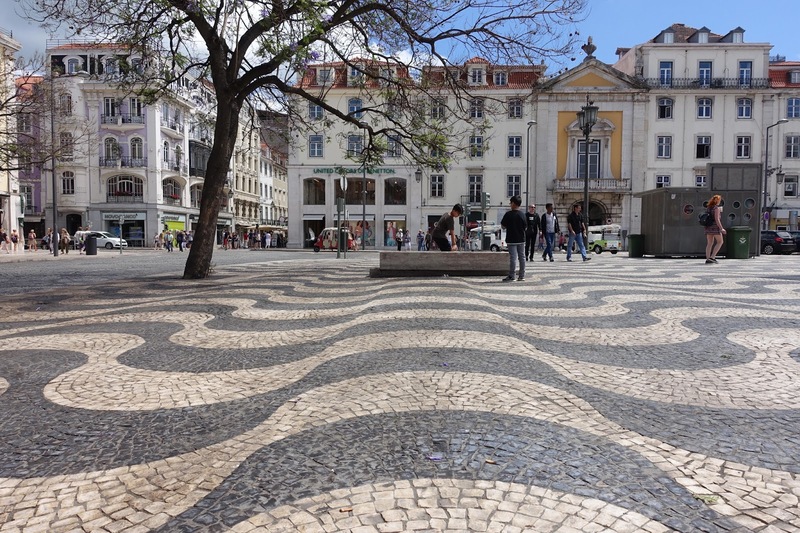 The pedestrian streets, sidewalks, and squares of Lisbon are beautifully paved.